Seventeen years after her ousting, Margaret Thatcher still exerts a phenomenal amount of influence over the makeup of the British political landscape, and the radical nature of her time in office resulted in her becoming one of the twentieth century's most divisive and controversial world leaders. Her wide-ranging social and, in particular, economic changes created a bitterly divided and unequal society, and, with them, paved the way for the "neoliberal consensus" that reigned supreme under both John Major and New Labour.As such, it is rare to find a balanced and level-headed account of her premiership, but, with Thatcher and Thatcherism, Eric J. Evans has achieved that in spectacular fashion. 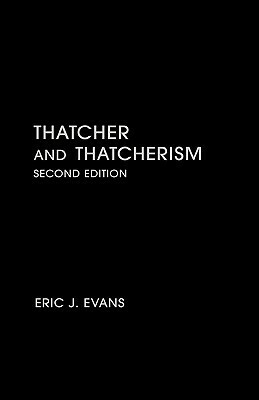 Despite being a largely critical and unfavourable examination of Thatcher's eleven years in power, Evans approaches each criticism in a calm and level-headed manner without, as is too often the case, being led by blind ideology and prejudice. He is quick to point out areas in which Thatcher made modest gains but is unflinching in his, quite correct, view of the devastating effect that she had on the country. As he argues, Britain under her leadership became an increasingly divided country, with significant sections of society being forced into abject poverty and ruin due to her vehement opposition to the "post-war consensus" and belief in the supremacy of free market economics.Despite its relatively short length, the scope of Thatcher and Thacherism is impressive, with Evans dedicating a significant portion of the book to examining her approach to foreign affairs. He also finishes with an interesting study on the lasting impact that she has had on the modern Conservative Party, New Labour and, in particular, the deep divisions that now plague British society. As he argues with a poignant final sentence: "Thatcher cannot escape her share of responsibility for the moral deterioration and manifold material dysfunctions of late twentieth- and early twenty-first-century Britain."